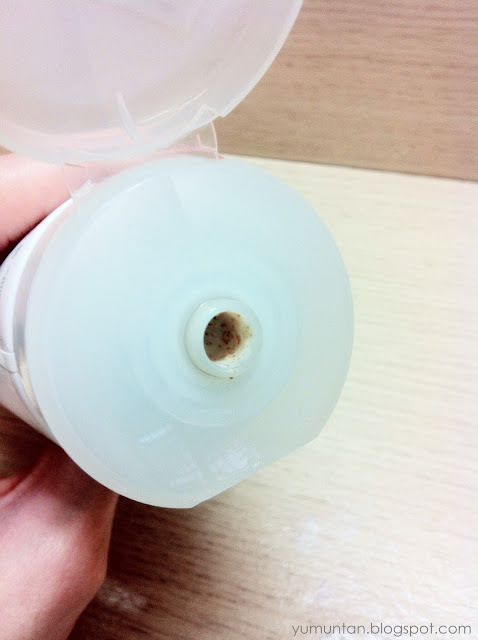 Do you have any facial cleanser which is the must have in your bathroom? 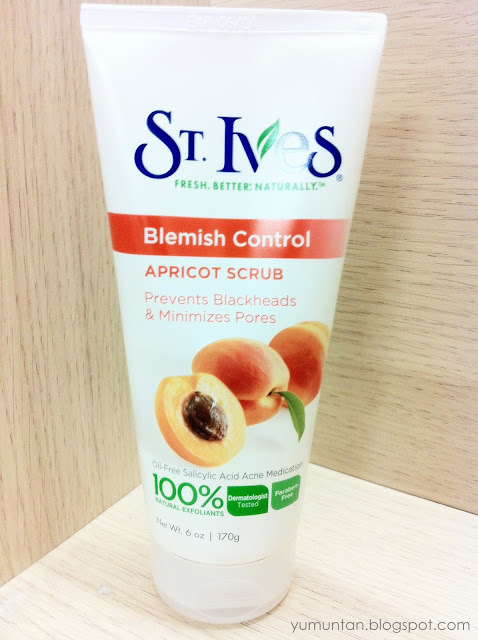 For me, St Ives Blemish Control Apricot Scrub would be the one!!! It's just automatically became my most favourite facial scrub!!! Exfoliates to prevent blemishes & clean pores. America's #1 Scrub gently cleans pores and helps stop breakouts before they occur. -Avoid direct contact with eyes,in case of contact with eyes. APRICOTS are known to contain one of the highest levels of carotenoids (think vitamin A) and super-effective antioxidants. All of this natural power might seem, well, too powerful, but they are actually quite gentle and nourishing and they help make fresher, more nourished skin beautifully possible. CORN KERNEL MEAL is actually flour ground from dried corn. 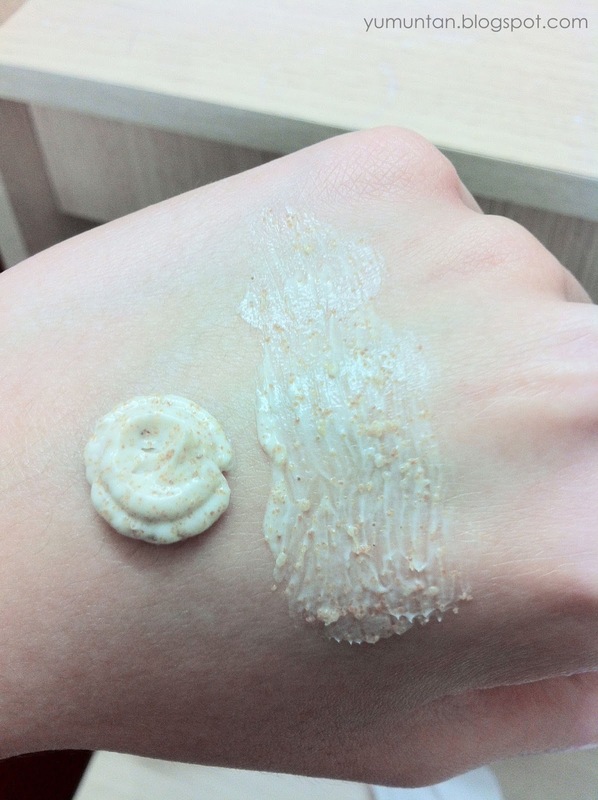 It’s a soft, but gently powerful all-natural exfoliant that promotes skin cell turnover and regeneration. Cornmeal makes softer-feeling, fresher skin possible. WALNUT is known for its hard shell, but when it’s ground, it becomes an amazingly effective, all-natural exfoliant ingredient in our scrubs. Not only are walnuts plentiful on the planet, they also help newer, healthier skin come to the surface. 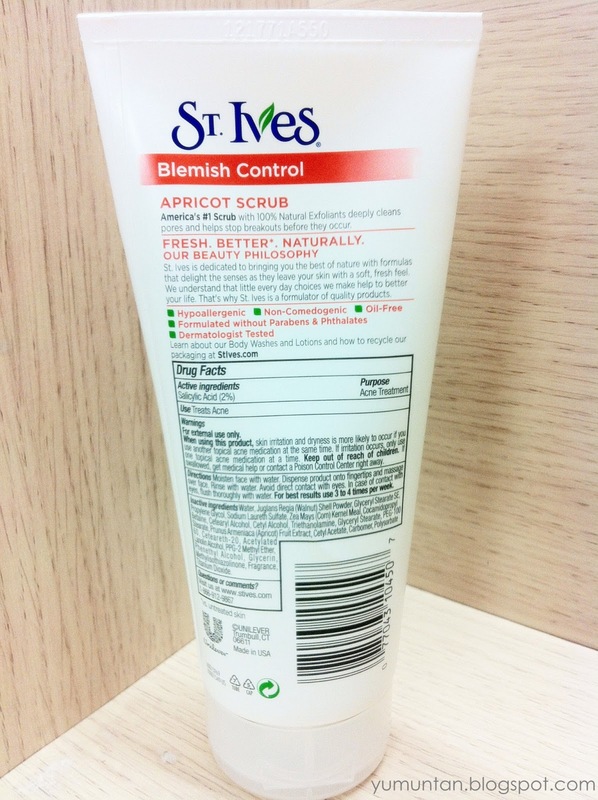 The texture is way harsher than the St Ives Naturally Clear Green Tea Scrub which is definitely not very suitable for people who tends to get sensitive easily. But still you can try to use it once or twice a month. It will really brings away the dead skin cell and impurities on your face. Even though the application listed that about to use this facial scrub 3-4 times per week for the best result but I think I may be too irritate. For me, once a week would be pretty enough!